With Apple close to revealing exactly what it has planned this weekend for the tenth anniversary of the opening of its first retail store, MacRumors is suggesting it already has some information on what’s coming. One suggestion is that a big update for the Apple Store app for iOS devices is on the cards. According to MacRumors’ sources, the revamped app will be rolled out on Sunday and will offer functionality for building Macs to order, in the same way that you already can on the company’s website. 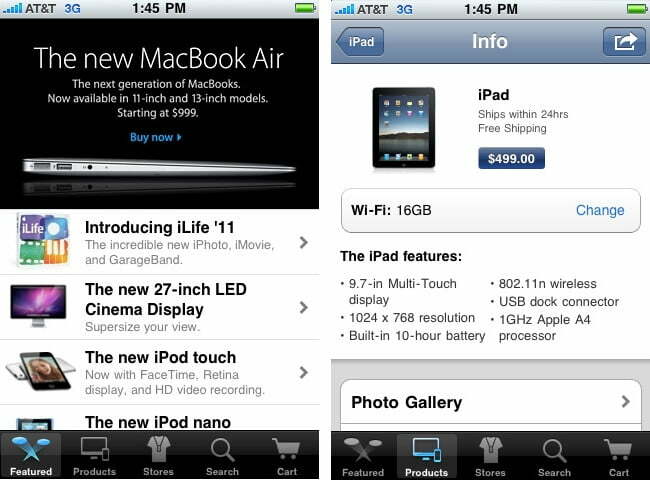 The Apple Store app was released in June 2010, giving Apple fans the opportunity to order a bucket load of Apple goods on the way home from work. It also helps users to locate the nearest Apple retail store and can even be used to schedule Genius Bar and one-to-one reservations at retail stores. There is also talk that Apple is planning a significant overhaul of its online store, though it’s not clear whether any of these changes will be announced this weekend. Rumors that Apple is going to release a major new product ( mini iPhone? iCloud?) appear to have subsided somewhat, but with this company, you never quite know what it has up its sleeve. For all those eager to know exactly what’s going on behind the mysterious black curtains hanging up in Apple stores around the world, the wait is almost over.